You can sign up for summer courses, pay your membership and boat storage fees (limited availability) and talk to the team about what the club can offer. It’s also a time to catch up with people, sign up to trips and plan your paddling adventures for the coming year! More details about the courses available will be published in the next few days, so keep your eyes on our website and Facebook page for more details. Please download and complete a Membership Form 2017-18 (this covers membership, payment and a gift aid form) and bring these to the enrollment night along with your payment and a Safety-Information-Sheet-2017-18 for each paddler. We will have forms available on the night but it will save you time and make it easier for us on the night if you can print them off and bring them completed. Existing Members – online membership renewal coming soon! All classes start the week commencing 24th April and you need to book on these Membership Form 2017-18 classes at enrollment night. I hope we can accommodate everyone, but our coaches are volunteers and we only have so much equipment. Club Night – this is an informal session for anyone above beginners course level rather than a coached session. 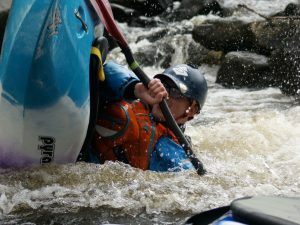 Coaches will be there to offer guidance and we hope to offer various coaching sessions on a wide range of skills / paddling disciplines to suit what members want, as well as just helping people to just go paddling.